I needed a cake for church. I can’t have coffee as it gives me migraines, so coffee cake is the ideal cake to make for someone else! I started off following the recipe here, but soon deviated. 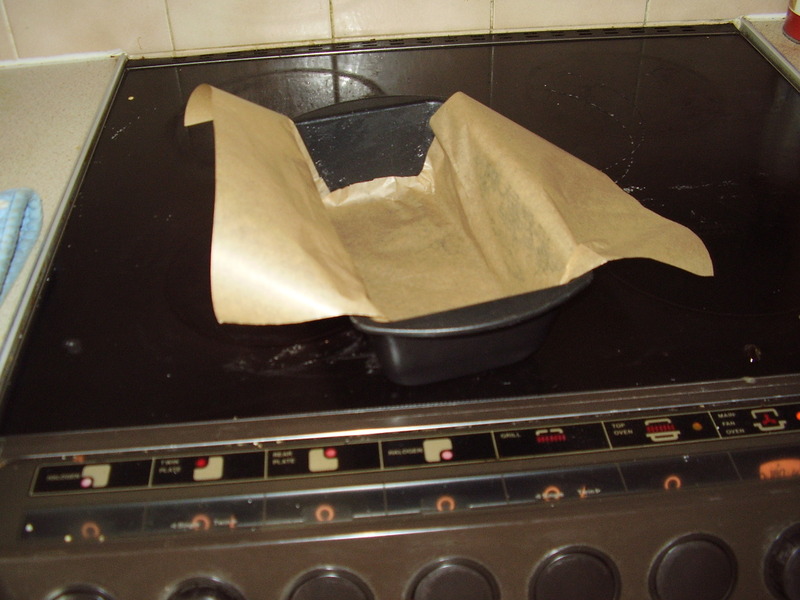 – lining the tin the Lorraine way, makes it easier to pull the cake out. Beat together 85g of butter and 125g soft brown sugar until creamy, then add 50g melted chocolate. Add 2 eggs, 125ml cold coffee and 185g self-raising flour. I tried this the Lorraine way – add one egg with some flour, then the other egg and the coffee with some more flour, then the rest of the flour. And lo and behold, it did not curdle. I take back what I said in my previous post. Add 1tsp of ground cinnamon if you want. Tip into lined loaf tin and bake at 180’C for 30 minutes or until an inserted skewer comes out clean. Add 2 tbsp instant coffee to 1/2 tbsp hot water. Mix 100g softened butter with the coffee. Beat in 150g icing sugar a little at a time. Now if you can get 2 tbsp instant coffee to dissolve in that much water, you are some kind of genius! Please get in touch with me! I think she probably meant 2 tsps. 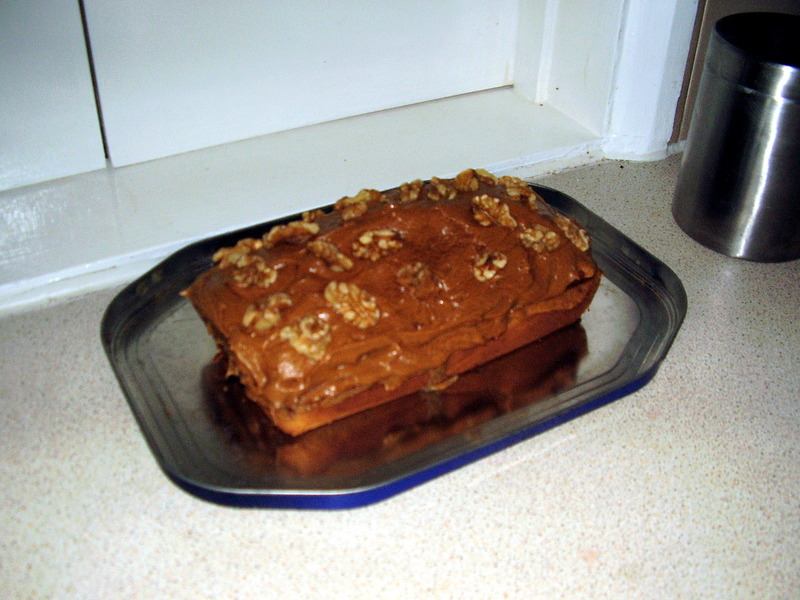 Spread icing on cake (and I did a layer in the middle too) and top with walnuts. Yum. I love coffee cake. Always reminds me of Gma M! Next PostNext Newsflash! Or should that be Moosflash?